TVG V Groove cutters deliver a crisp, clean finish on a wide variety of sheet materials. 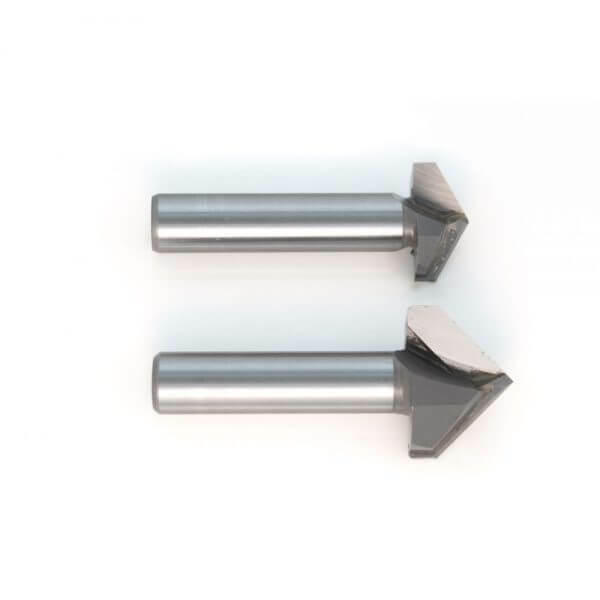 TVG carbide cutters are supplied on heavy duty, 12.7mm shanks for a longer service life and are widely regarded as the best in the industry. The TVG range complements the 3D CAD/CAM software that programs CNC routers to produce everything from straight forward bevels to the hand crafted appearance of carved or chiselled lettering.